Super premium ammunition line. 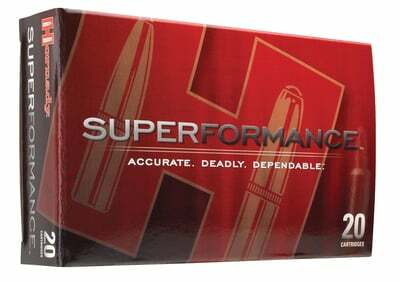 Every cartridge contains premium propellants that are custom blended to deliver maximum velocity and optimum performance. Exceeds velocities of conventional ammunition without a significant increase in recoil, muzzle blast, temperature sensitivity, fouling or loss of accuracy. Safe to use in all firearms including semi-autos, lever guns and pump actions.